There’s a very special kind of scooter nut enthusiast to add a sidecar to their bike. Previously, only vintage or new-vintage, metal body scooters like classic Vespas or Genuine Stellas have been able to support the extra load and complexity of a sidecar rig. Yet none of the OEMs have really offered sidecars for modern bikes (at least outside of trade shows). There’s no bolt-on kit to attach a sidecar to your Genuine Buddy or your modern Vespa GTS. That is, until now. 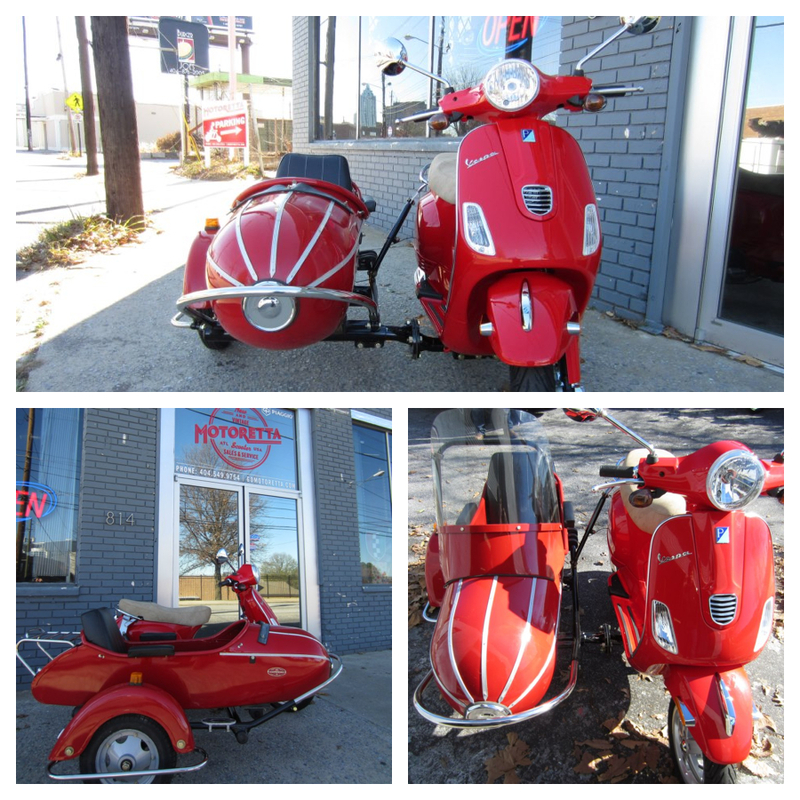 Motoretta Atlanta, also known as Vespa of Atlanta, is now offering a adaptor system to attach a Cozy Sidecar (commonly seen attached to Genuine Stellas and classic Vespas) to a modern Vespa such as an LX 150 or GTS 300 Super. According to their post on Facebook, they’re even able to color-match the sidecars. Who’s going to do this? Send us your photos. Nathaniel Salzman is a Chicago area designer, writer, maker and journalist. Nathaniel founded ScooterFile in 2012 and serves as Editor-in-Chief.